Some football managers can’t get enough of it and apparently since WWI, American soldiers have been supplied with free gum due to the belief that it boosts their concentration and helps to relieve stress. Gum – it’s certainly a sticky one but surely not when it comes to schools. Chewing gum and schools just don’t mix. Let pupils chew gum in class? You must be mad! What’s the world coming to? We’ll be giving them free-choice and self-directed learning projects next! The idea might not be in your ‘Top 200 things to try before I retire/have a breakdown/get made redundant’ and you probably have every good reason for saying no to letting students chew away. It’s messy, gum mastication makes an irritating sound and students will be blowing bubbles and sticking bits of the stuff under desks and chairs and on the wall as substitute Blu-Tak. Not to mention the fact that it’s going to end up on the floor leaving those white patches everywhere and you’re bound to step in some and then spend an evening scraping bits off the soles of your shoes. Completely bad idea, forget it, no, nonsense, crazy; chewing gum in school is an erosion of teacher autonomy, it makes a mockery of school values and it’s basically the start of the end of civilisation. Wrong…well, according to some ‘scientists’ anyway and who can deny the power of people in white coats telling us otherwise?! We cannot argue with the PhD effect and people wearing white coats! We can make this work people. Why not get them to chew in a disciplined manner with their mouths closed and to respectfully dispose of their gum when they’ve chewed things over? Yeah right. There have been plenty of studies on the effects of gum-chewing on the mind and on people’s industrial productivity so there might be something in it…. There are those that say chewing gum helps students focus, it improves their memory, boosts their academic performance and it can relieve stress and help them relax. Scientists from the University of Northumbria have found people who chewed gum saw a 35% improvement in their ability to recall words. A study by Andrew Scholey, lead researcher and Professor of Behavioural and Brain Sciences at Swinburne University of Technology found that chewing sugar-free gum effectively reduces anxiety by more than 17 per cent during stressful situations. The study also showed that chewing gum increases alertness and improves performance while multi-tasking. Levels of salivary cortisol (a physiological stress marker) in gum chewers were lower than those of non-gum chewers and with an improved state of mind from chewing gum, the mean performance scores over non-gum chewers improved by a significant 67 per cent during stressful situations. This sounds scientifically impressive and it sounds like we should all now let students chew gum in exams to help the poor souls cope. Fidget spinners were supposed to relieve stress but they were never exam-friendly so let them chew gum? It’s easy to be cynical so let’s be just that – Professor Scholey’s research was commissioned by the Wrigley Science Institute – ummm, so its in their best interests to push the benefits of chewing sugar-free gum. I get it. But is there something in this? What about elsewhere? What do others say about it? Amazing. Not really ‘scientific’ though was it? But other studies don’t agree. Smith (2009, 2010), showed that to a small degree gum-chewing does appear to improve alertness, reaction time, and intelligence scores, but it has no effect on memory tasks compared to a ‘no chewers’. Allen, Norman, and Katz (2008) also found no effect of chewing gum on memory. I’m not convinced that gum does anything for learning and the reported effects of chewing on cognitive functions have been inconsistent and inconclusive. When you start digging deeper into the vast number of studies they all contain holes, contradictions, weaknesses and bias. There is certainly no consistent evidence to prove that chewing gum does anything to improve performance. For me, chewing gum falls into the ‘neuroscientific crap’ pile as yet another educational myth that looks attractive as a quick-fix but in reality has no real scientific basis whatsoever. If I want my class to perform well then we get down to some serious graft and commit to what is proven to work. We can’t rely on Brian Gym, fish oils, chewing gum, learning styles, etc to make any difference because they don’t – these are fallacies and not proven to work. They say that you are never more than 35cm away from a piece of chewing gum stuck to the floor when out and about in a city and councils spend £££ scraping it up. Now imagine this scenario in schools. I don’t suppose any school will fancy allocating any of its precious budget for cleaning gum especially as it is practically indestructible. 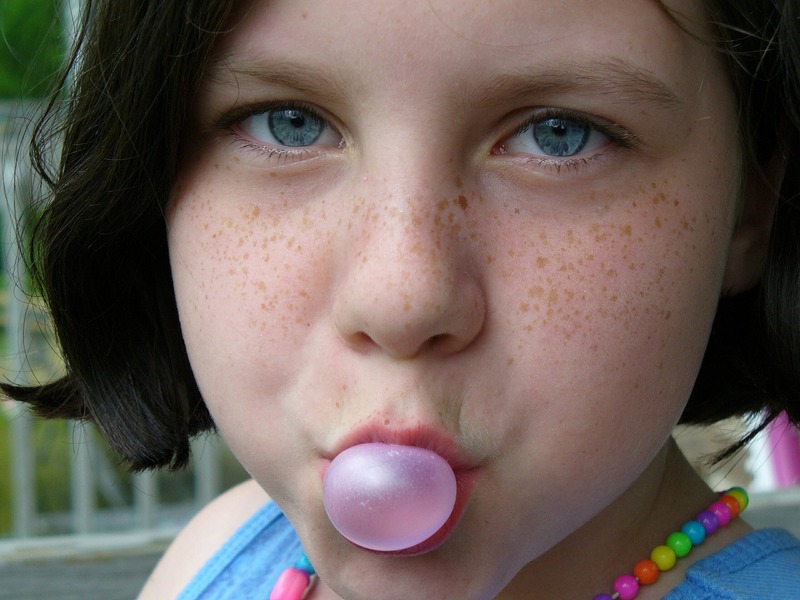 Does chewing gum improve cognitive function?